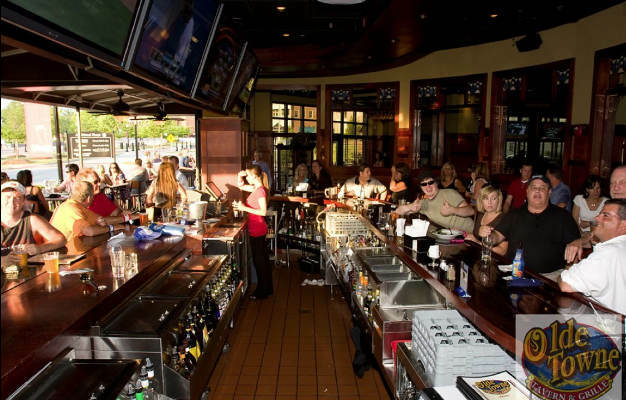 Olde Towne Tavern & Grille: Outstanding or Old Fashioned? It all started in 2003 when a great dream came true. The first Olde Towne Tavern & Grille opened in Georgia. Aside from their excellent freshly prepared food offerings, this restaurant chain is also proud of its staff and rightfully so. Most of the reviews online consider the service outstanding. Let us start with the Appetizers. You have a list of appetizers to choose from including Twice Battered Drunken Onions, Bistro Steak Bites, Beef or Chicken Nachos, Bangin Shrimps and Chicken Tenders. It is best if matched with dips: Quezo, Baked Spinach Artichoke Heart’s and Cheese and Buffalo Chicken. Wild pies or Golden Friend Tortilla is also available and their best seller is The Original with Wood Fried Grilled Chicken. Lastly, and the best-seller Fresh Friend Jumbo Chicken Wings. You can choose the serving size: by five, ten, twenty, and fifty. Boneless wings are also available. Different wing sauces are available and the house specialties are Ranch, Lemon Pepper, Tavern, Lemon-yaki, Honey Sriracha, Thai Chili, and Chef. They also serve gourmet salads and the most popular of them all is the Bookmakers with wood friend grilled steak. Soups (Tavern Beef Chili, Baked French Onion, and Daily Soup) are served hot. They also have potato fries, onion rings, mashed potato, and a lot more as sidings. The 10” pizza of Olde Towne Tavern & Grille is also superb. It is hand-tossed and you can choose your favorite toppings. However, many still choose the House Specialty pizzas: Blanca, BBQ, Buffalo, Italian, Cajun, Bacon Cheeseburger, Hawaiian, Greek, Veggie, Piggypie, Cheese, and Tavern. Lastly, they offer fresh and hand-patted beef burgers and their best-seller is the Horseradish with Angus beef patty. Chicken Sandwiches are also available and the most recommended is the Chicken Avocado sandwich. The taste matches its Honey Mustard Mayonnaise Sauce. 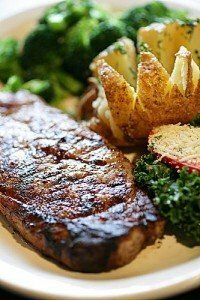 The Olde Towne Tavern is well known for its Wood Fired Grille steaks, seafood, and chicken. The aged steaks are tender and served with special tavern sauce. Some branches also offer Prime Rib from Friday to Sunday. You have a choice of steak doneness. Just inform the crew if you prefer rake, medium-rare, medium, medium-well or well done. All Wood Fired Grille food comes with a salad or soup. It is a casual restaurant that offers American food and many are already tired of the usual set of menu. However, it remains the favorite of many because friends and families enjoy staying in its friendly atmosphere, making it outstanding. Most of its locations are true to their goal of providing diners with a cozy place to enjoy good food and good company. They have a bar and outdoor tables where you can hang out with your friends after school or after work. It is so much fun because they also have a stage and karaoke where you and other family members can enjoy singing while dining. The sports bar is an excellent idea for people who want to hang out after a stressful day in the office. It is also a cool place where you can bring your girlfriend or boyfriend for a different kind of fun. Celebrating occasions at this kind of place is also fantastic. It is not the ordinary fine dining for you, but a casual place without impressive service.